Cancer can be life-threatening and it can start in your mouth and throat. Regular visits to your dental office located in Denver can help oral cancer be detected early, and you should also be aware of the causes and symptoms of this condition. 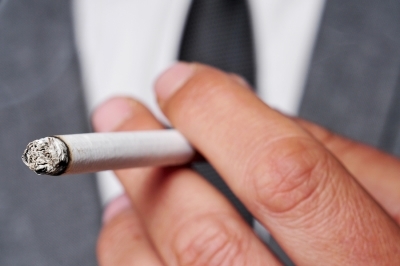 For many patients, their oral cancer can be linked to cigarette smoking and heavy alcohol use. Either one of these risk factors can be linked to oral cancer, but a combination of both creates a much higher risk for the individual. Another factor that has been associated with a particular group of oral cancers is infection with human papillomavirus (HPV 16), which is a sexually transmitted disease. Additionally, excess sun exposure can cause cancer of the lip, a diet low in healthy foods like fruits and vegetables may be a factor in cancer development, and the risk of cancer increases with age; most cases of oral cancer develop after age 40. There are a variety of signs and symptoms that can indicate oral cancer. Watch for irritations, lumps, sores, red or white areas, and thick patches on the lip or in the mouth or throat. A person with oral cancer may feel as if something is caught in their throat, or may have difficulty with swallowing or chewing. Some individuals will experience swelling in their jaw, or may have trouble moving it, or they will have numbness in their tongue. In many cases, these signs are caused by infections and conditions unrelated to cancer. However, if you notice one of these symptoms and it persists for more than two weeks, schedule an appointment with your dental office to rule out oral cancer. When your visit your dentist for your biannual checkup, part of the procedure includes an oral cancer exam. Along with the health of your teeth and gums, your dentist is inspecting your tongue, lips, mouth, and throat for indications of oral cancer, so it’s vital to keep up with your regular dental exams.